Call to Order: Doug Cash called the meeting to order at 4:00 pm. at the Scenic Estates Clubhouse. Doug Cash and Jeff Smith were elected to the Board. Don McCuiston was approved to complete the term left vacant by Gloria Maxwell. Voting was done by secret ballot and Leslie Dempsey was appointed President. Tim Slater was appointed Vice President. Jeff Smith was appointed Treasurer. Doug Cash was appointed Operations & Water Chair. Tim Slater was appointed Administration Chair. Don McCuiston was appointed Communications & Planning Chair. Slater discussed having a board member guideline, and to review bylaws. May be opportunity to simplify bylaws and suggestions for staff roles. Form a personnel committee to consider position left vacant by. Discussion about restructure. Could third person be certified for water duties? Cash moved to form a personnel committee with members appointed by the Board President. McCuiston seconded. Passed. Personnel committee to include Dempsey, Cash, and McCuiston. The next board meeting is scheduled for September 17, 2017 at 9:30 a.m. Call to Order: Mark Sexton called the meeting to order at 9:07 am at the Scenic Estates Clubhouse. Special board meeting because the Corporate Secretary is unable to attend, need to have a provision to count ballots and certify the AGM. Slater moved to appoint Isaac Colgan acting Corporate Secretary for purposes overseeing the 2017 Annual General Meeting and any other board meetings or functions that require a Corporate Secretary as Carol McKinney is unable to perform. McCuiston seconded. Passed. The next board meeting is scheduled for September 26, 2017 at 4:00 pm. Call to Order: Mark Sexton called the meeting to order at 9:00 am at the Scenic Estates Cabana. Cash moved to nominate Carole McKinney as Corporate Secretary. Dempsey seconded. Passed. Slater moved to authorize Carole McKinney and Neva Buechner to pick up mailed ballots at Post Office box, or if that is not possible, someone appointed by the Board President. Cash seconded. Passed. Slater moved that volunteers that sign and count are approved by the Board President and the Administration Chair. Cash seconded. Passed. McCuiston interested in check deposit options with Key Bank, using a mobile app, possible a check scanner. Isaac is researching remote business account deposits. Slater discussed opportunity of a board announcement regarding the updates of lawsuit in a newsletter or AGM. The next board meeting is scheduled for August 26 at 4:00 p.m.
Meeting adjourned at 9:40 am. 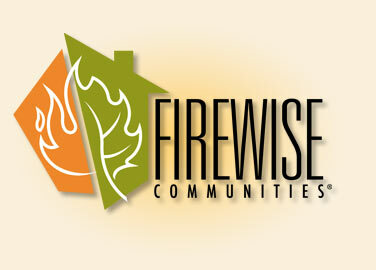 Marie discussed the Firewise committee meeting they had on July 7th. They do have a bid for $2000 a day to clear the underbrush. The board has access to get rid of limbs for 2 years and chips can be brought up by the lake. CALLED TO ORDER: by Mark Sexton at 9:50 a.m.
APPROVAL of MINUTES: Cash made a motion to approve the 6/17/17 BOD minutes. Don seconded. Passed. COMMUNICATIONS: Firewise made a presentation and their letter is attached. FINANCE: Leslie is absent. The financials are on budget. ADMINISTRATION: Tim made a motion to approve the AGM material including the ballot with the clarification to the newsletter that there are two open positions and confirming Don’s position. Cash seconded. Passed. COMMUNICATION AND PLANNING: Don discussed having cameras. There are kids trespassing by the backhoe. He talked to Pogozone about using LISE sites but it has to be at a high point and not by the water. Also discussed the phone bill and using prepaid phones for about $80.00. Cash discussed whether the coverage is the same and would be willing to try it for a month since we are not in a contract with Verizon. Also discussed mobile banking and whether it is an option with Key Bank. Kevin and Isaac will start cleaning up the entrance sign to Scenic Estates. Isaac and Don will check into prices for the cameras. OPERATION: Cash said they are ready to begin on the ramp. Will have to set it aside until after crabbing season. Discussed limbing the cedar tree and renting a chipper to have volunteers start clearing the brush. Also talked about bringing in some sand and clearing out the lake. Cash made a motion to have Richie and Dave donate and bring in some sand. Don seconded. Passed. Cash made a motion to move forward to Firewise the community using volunteers and employees as available. Don seconded. Passed. Cash discussed Glenda putting in her resignation and having Isaac take on Glenda’s responsibilities to give the Board time to find a replacement. Action items: Need to appoint a new corporate secretary. The board will post an ad. Tim made a motion to have the next BOD meeting scheduled after the AGM at 4:00 p.m. Don seconded. Passed. CALLED TO ORDER: by Mark Sexton at 9:35 a.m.
APPROVAL of MINUTES: Leslie made a motion to approve the 5/21/17 BOD minutes. Don seconded. Passed. Cash abstained since he was absent. FINANCE: Leslie states that according to the profit and loss everything is on track. The insurance is over budget because we switched from paying monthly to paying the whole balance so this amount includes the insurance through May 2018. ADMINISTRATION: Tim states that we are on track for the AGM and getting the bylaw proposals mailed out. COMMUNICATION AND PLANNING: Don discussed the internet usage at the clubhouse. We currently are still under the usage. Don also discussed the Cabana and there being a lot of usage and kids vandalizing. Kevin will have Isaac check into prices for security cameras. People are parking at the other side of the lake and leaving garbage. Don will contact Pogozone to follow up with if they were interested in putting their radar on the water tower for a discounted internet rate. OPERATIONS: We have a second bid for the ramp and making it wider. Suggested using the bid by Mantle Industries since the other’s scheduling is way out there. Tim made a motion to accept the bid up to $5,000 which doesn’t include delivery and install. Cash seconded. Passed. Kevin completed his certification for cross connection specialist and Isaac will be attending WDM Level 2 exam review June 28-30. We installed the new CL17 chart recorder. We are now looking into upgrading the water flow chart recorder. Leslie made a motion to accept Don’s weather station he donated to Scenic Estates. Cash seconded. Passed. Action items: Leslie made a motion to have the accountant remove John’s sick time as a liability in payroll and to have it stated in the minutes that May 24, 2017 is his retirement date. Tim seconded. Passed. The next board meeting is scheduled for July 16, 2017 at 9:30 a.m.
Tim made a motion to go into executive session for about 5-10 minutes to discuss communications with our legal counsel regarding litigation. Cash seconded. Passed. The board went into executive session at 10:45 a.m. and came out of executive session at 11:06 a.m. without any action being taken by the board. Meeting adjourned at 11:07 a.m. MEMBER CONCERNS: Member brought up the water rates and discussed charging per gallon but this would be too hard to budget. We will look into this for the 2018 budget. Also discussed if the new website could take online payments. Discussed the majority of the members do not have email and the cost and privacy issue. CALLED TO ORDER: by Mark Sexton at 9:45 a.m.
Mark introduced Isaac Colgan as the new water operator in training. APPROVAL of MINUTES: Leslie made a motion to approve the 3/19/17 BOD minutes subject to deleting use of the word adjournment to describe what happens when the board goes into executive session. Tim seconded. Passed. FINANCE: Leslie stated we collected about 50% of the dues for the year. Glenda will contact Julie to see if she can separate line items for the ready to serve fee and water usage. We also need to start the process for the Reserve Consultants and the audit to have it ready for the AGM. OPERATION: Cash states the docks are going in May 1st and May 2nd due to tidal conditions. The chart recorder for CL17 failed. Tim made a motion to spend up to $1200.00 for a new chart recorder. Cash seconded. Passed. Isaac is taking his test at the end of the month. The Department of Health requires 12 months experience so we will apply for a waiver before John leaves. Kevin is taking the cross connection control test at the end of the month. Kevin’s phone is not working so Glenda will order him a new one and keep Cash informed. Unfinished Business: Leslie created the budget worksheet and will meet with John and Kevin to discuss the water expenses. She will have it ready for the May meeting. Action items: Tim discussed the proposed bylaw editing for section 4.4.1.2. The members had voted in 2013 to change the number of board members from 7 to 5. It was discussed the term would reduce from 3 to 2 but was never formalized. Mark read Greg Thulin’s email stating it was the intent but the bylaws were not amended and would be best to treat the current board members as 2 year terms since that is what the members believe they were voting on when electing the current board members. Tim will draft an amendment and send it to Greg Thulin. New items: Leslie stated that we could not locate anything that formerly explained what the employee 401k contribution is for the budgeting. Leslie made a motion to add the existing policy to the employee handbook that states Scenic Estates will match 3% of employee’s wages with the employee’s full contribution pending the accountant’s and lawyer’s approval for language adjustments. This is not a new benefit but is capturing what has been in effect since about 2009-2010. Cash seconded. Passed. Leslie stated the CD at People’s bank has approximately $32,000 and is up for renewal. The current interest rate is 0.196 for 12 months. She made a motion to renew the Peoples CD ending in 0807 for 36 months at 0.50 % . Tim seconded. Passed. The accountant brought up the prepaid balance of over $30,000 that is setting in an trust account at the lawyer’s office. In order to keep it separate and not roll into the reserves we will leave it in the escrow account. Member presented a payment plan on Saturday before the meeting to get his water turned on. We will discuss it at the next board meeting after researching his accounts and past payment plans. The next board meeting is scheduled for 21, 2017 at 9:30 a.m.
Leslie made a motion to go into executive session for about 15-20 minutes to discuss personal matters relating to employee reviews. Cash seconded. Passed. The board went into executive session at 10:45 a.m. and came out of executive session at 11:18 without any action being taken by the board. CALLED TO ORDER: by Mark Sexton at 10:00 a.m.
APPROVAL OF MINUTES: Tim made a motion to approve the 2/19/17 BOD minutes. Cash seconded. Passed. Gloria abstained since she was absent. COMMUNICATIONS: A member sent in his concern about the new water tier structure regarding the tier price jumps. Discussed the water tier structure and how we took previous water readings into consideration while putting together the new tier structure. We will continue to review this every year. We will also have to figure out where to hold the next AGM. FINANCE: Leslie discussed we are on target and all the expenses seem to be routine expenses. Brought up the insurance renewal that is up in May and whether we should be shopping around. Think it might take a couple years to get the insurance rates down. Leslie discussed forming a finance committee to begin work on the budget. Meredith volunteered to help with the budget and Cash will help. The 2016 tax return is complete and the payment has been made. ADMINISTRATION: Tim discussed the bylaws and when it was presented that the board members be changed from 7 to 5 the term length wasn’t addressed on the ballot. The simplest way is to change section 4.4.1.2 from changing anywhere it referenced the length of term to 2 years. Discussed whether it should be retroactive. It is stated that each topic needs its own bylaw change. Tim made a motion to change the next BOD meeting to April 23rd, Cash seconded. Passed. Gloria will contact the social committee to hold a social event for April 23rd after the board meeting. OPERATION: Kevin and Isaac are signed up to take their tests with the DOH. We are finishing work on the docks and can remove dock deployment as a budget category for 2018 since the expense should be minimal. Cash suggested cleaning up the tables and deck outside for the social event. John discussed getting estimates for the blacktop and the ramp to the docks. Action items: Leslie discussed lot #40009 we have sent a certified letter and water shut off notice and had no response. Cash made a motion to post a water shut off notice on the door and give him a week to sign a payment plan or pay in full. Leslie seconded. Passed. Lot #20006 is delinquent on their payment plan which was due on 3/1. Tim made a motion to shut off water if we have not received payment on the end of the business day Thursday (30th) staff will shut off water Friday morning. Cash seconded. Passed. The next board meeting is scheduled for April 23, 2017 at 9:30 a.m.
Leslie made a motion to go into executive session for about 15 minutes to discuss personal matters relating to employee evaluations. Tim seconded. Passed. Executive session began at 11:15 a.m. and adjourned at 11:40 a.m.
Motion: After going back into open session, Cash made a motion to form an employee review committee. Tim seconded. The motion Passed unanimously. CALLED TO ORDER: by Mark Sexton at 9:30 a.m.
APPROVAL OF MINUTES: Leslie made a motion to approve the 4/23/17 BOD minutes. Tim seconded. Passed. COMMUNICATIONS: Mark discussed Gloria resigning as a board member. Member Don Mccuiston stepped up to take the position. Tim made a motion to appoint Don Mccuiston to the Board as Communications and Planning Chair, Leslie seconded. Passed. FINANCE: Leslie made a motion to post water shut notices and for lots #50022, #40043, #10202. Tim seconded. All were given 30 days notice sent certified mail as per policy #7. Passed. Don abstained. Discussed lot #50026 & lot #10207 payment plan. Tim states all payment plans need to provide for paying off the accrued balance within the payment plan period. Including interest and late fees as well as a commitment by the member to keep current in any amounts becoming due following approval of the payment plan. This payment did not. Leslie made a motion to draft a new payment plan to address 25% down payment as good faith and will factor in expenses for 2018 & 2019. Tim seconded. Passed. Don abstained. Leslie discussed April’s 2017 profit and loss and balance sheet and everything seems to on budget. The accountant now separated the ready to serve fee and usage on the profit and loss. Leslie discussed the 2018 draft budget. She figured out the expenses first and then based the dues on what is needed. There is no audit budgeted since one will be done this year. The insurance is May-May so there is a slight cushion in place since the budget is through December. There is still a credit balance left at the attorney’s for legal fees. Leslie discussed her bylaw proposal and the intent is to motivate members to serve on the board and attend the monthly meetings. Board members who meet the conditions and are in good standing will receive a credit equal to 1/12 of a single lot annual dues for each monthly board meeting attended. Tim discussed whether this will affect the current litigation or the insurance premiums. Tim will check with legal counsel regarding whether adopting a meeting stipend for board members would impact the legal standard that applies to board members or the defenses available to them from what exist currently with no stipend. Leslie made a motion to approve the bylaw proposal which will give qualified board members a monthly credit for each board meeting they physically attend which is equal to the dues amount for that year as long as the attorney approves. This proposed stipend is included in the proposed 2018 budget in the 700 line item and would go into effect January 2018. Tim seconded. Passed. Leslie also mentioned Section 4.4.2.6 which changes the wording that Directors shall be “reimbursed” instead of paid by the Community Club for reasonable expenses as they may necessarily incur in pursuance of the Business of the Community Club. The Board approved all the proposed amendments for approval by the general membership at the August 2017 AGM. Leslie made a motion to approve the 2018 budget that was discussed at the May 2017 meeting to be presented to the members for voting at the AGM. This budget would make members dues $725/year. With the total income at $382,355 and expenses $382,333. Tim seconded. Passed. Don abstained. Tim made a motion to change the proposed policy #7 to reflect when placing a lien on a lot it is 30 days from the certified mailing instead of 30 days from receipt. As per the bylaws it is the members responsibility to provide us with their current address. Leslie seconded. Passed. Don abstained. ADMINISTRATION: Tim talked about bylaw proposal section 4.4.1.2 and changing the length of a board members term. This was thought to have been changed when the number of board members were changed. This has been approved by the attorneys and was thought to be in effect when the last board members were voted on. Tim made a motion to approve the amendment. Leslie seconded. Passed. Don abstained. Tim discussed the insurance and that the coverage is the same as last year. Leslie made a motion to pay the balance of the insurance policy in full. Tim seconded. Passed. Don abstained. Tim made a motion to change the meeting from June 18th to the June 17th at 9:30. Leslie seconded. Passed. APPROVAL OF MINUTES: Cash made a motion to approve the 1/22/17 BOD minutes, Leslie seconded. Tim abstained because he was absent. Passed. ADMINISTRATION: Discussed waiting on legal advice regarding the legalities of changing the term length of a board member from 3 to 2 years. It was explained when it was voted on going from 7 board members to 5 but not sure if it is just an administrative edit or by vote. Tim states the insurance is up for renewal in May but doesn’t know with the lawsuit outcome and everything in favor of LISECC will have any bearing on the rates going down or if it is too soon. COMMUNICATIONS & PLANNING : Gloria is absent. We are still working on the Spring newsletter. FINANCE: The January reports are not done from the accountant. Discussed December’s profit and loss and having Julie move the storage tank mixers taken off of the profit and loss and put as a balance sheet item like the clubhouse roof. OPERATION: Discussed the letter from Sue Aspelund regarding the town hall meeting and if this effects LISECC. Mark will respond to her letter to let her know we can’t schedule a paid employee to participate at this time. Cash stated we had the source meter tested and it is operating 100%. The pump meter also appears to be running 100%. Both meters are now correct and match and we probably have several small leaks that make up the water loss. Cash proposed a new water tier structure that will get us close to the budget. Tim made a motion to approve the new water tier structure retroactive to January 1st which will be mailed out with the newsletter. Leslie seconded. Passed. Cash made a motion to approve the annual water report. Leslie seconded. Passed. The Board met as a committee and held interviews with prospective employees for the water operations position. And will meet in executive session. New Business: Leslie brought up taking credit card payments on the website. Leslie discussed the 5% transaction fee and how the members probably will not want to pay that since there are other ways to make payments that do not cost anything. There is also a security concern about having members financial information out there. The next board meeting is scheduled for March 19, 2017 at 9:30 a.m.
Meeting adjourned at: 10.35 a.m.
Tim made a motion to go into executive session to discuss personnel matter of potential candidates for the water operation trainee position for 20-30 minutes. The Board might take action after the executive session related to said personnel matter. Cash seconded. Passed. Went into executive session at 10:40 a.m.
Tim made a motion to authorize Mark Sexton to proceed with filling the part time water operator trainee position according to the terms and conditions as set out in the draft “hire letter”, subject to the revisions thereto discussed and agreed to by the Board (ie making sure that the benefits are correctly stated) and which will be incorporated into the final version of the letter the new hire is asked to sign. Cash seconded. Passed unanimously. CALLED TO ORDER: by Mark Sexton at 9:31 A.M.
APPROVAL OF MINUTES: Leslie made a motion to approve the 11/20/16 BOD meeting minutes. Gloria Seconded. Cash abstained since he was absent. Passed. Isaac Colgan introduced and gave a tour of the new website that he designed. Cash made a motion to launch the new website that Isaac proposed. Gloria seconded. Passed. OPERATION: Cash discussed the water tier structure and the possibility of charging per gallon versus tiers. Would like to hold a meeting and hearing members suggestions especially preparing for next years budget. Discussed members needing to put a lock on their hose bids if they are going to be gone. There was discussion on a newsletter and everyone is to have their committee reports to Gloria by February 10th. Cash talked to the county about coming to the island and sweeping the roads and seeing if there are more roads they will take on. There have been kids up at the storage tanks. Kevin is going to training at the end of the month. Unfinished Business: Discussed the process of hiring a part time operations trainee. Cash made a motion to form a hiring committee for a part time operations trainee. Leslie seconded. Passed. Cash, Mark and Leslie were appointed the hiring committee and will go over the job description and hiring process. The goal is to have someone in place before the quarterly reports in April. Leslie made a motion to transfer $45,000 from the operating account to the reserve account that was budgeted for 2016. Cash seconded. Passed. Leslie discussed the water shut off notices. Lot #50022, Lot #70026 and #100013 and #100014 are delinquent on their payment plans and water shut off notices have been posted for water to be shut off on 1/23/17. Leslie made a motion to shut off the water for lots #50022, #70026, #100013 & #100014. Cash seconded. Passed. Leslie made a motion if lots #50032, #60001 & #60002 does not sign a payment plan and return it to the office with January’s payment by 1/26/17 the water will be shut off on 1/27/17. The notice will be posted 1/23/17. Gloria seconded. Passed. The next board meeting is scheduled for February 19, 2017 at 9:30 a.m.
CALLED TO ORDER: by Mark Sexton at 9:34 a.m.
APPROVAL OF MINUTES: Tim made a motion to approve the October 23, 2016 BOD minutes. Leslie seconded. Passed. FINANCE: Leslie presented the revised rough draft for policy #7, which hopefully simplifies things. It was decided that credits will be deducted from the annual amount depending on what type of credit it is and then figure out the monthly payments. Payments will be applied to the oldest invoice first. There was discussion regarding the coupon books and there were a couple edits. Leslie makes a motion to order the 2017 coupon books with the edits of including the lot number and the total annual payment amount on the front page. Gloria seconded. Passed. Leslie made a motion to approve the amended policy #7, Gloria seconded. Passed. This will be mailed out with the coupon books. OPERATION: Cash is absent. Mark would like to report that the board had a conversation with John last month and the Board will get someone in to train with John after the first of the year. John would like someone in by March for training and the best transition. Mark states we had the water meter tested for accuracy which will cost about $500. A new meter will cost over $2000.00. This could affect the percentage of loss. We have had outside people come and look for leaks and haven’t found any. John will have the meter tested first. The roof is done and looks great. The chimney is on hold until we get warmer weather. UNFINISHED BUSINESS: There was discussion on the proposals for the website. Isaac will provide the photographs with his estimate, is cheaper and lives on island. Gloria made a motion to approve Isaac Colgan’s proposal for the LISECC website. Leslie seconded. Passed. Discussion on the water tier structure. Mark would like to table it until the next meeting to give more time to review it. Action Item: Mark states that they still need to update the signer cards at Key Bank. The next board meeting is scheduled for December 18, at 9:30 a.m.
Meeting Adjourned: at 11:15 a.m.